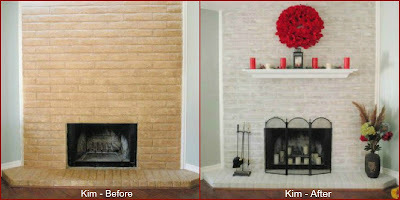 before and after pictures of my fireplace!!! beautiful center point in my living room. Thank you Brick-anew...I love my new fireplace!!! I was so please with getting these photo's from Kim last week I had to share. i love the color..i want to re-paint my fireplace too, but i am still searching for some helpful tips what color should i choose..